Episode #138. Artwork by Steve Lambe. 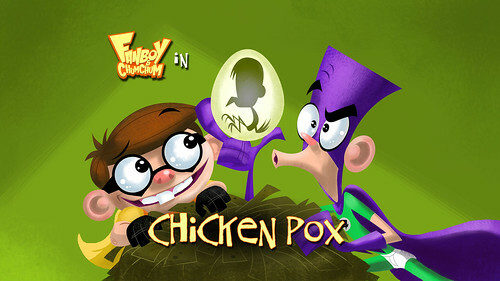 • Fanboy and Chum Chum try to cure Kyle’s chicken pox. 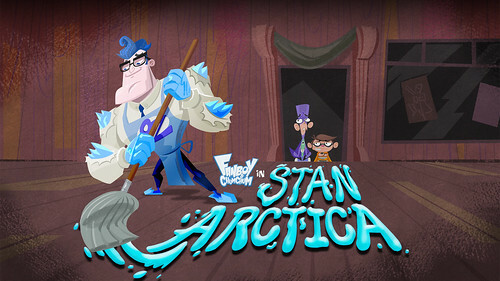 • Fanboy and Chum Chum are eager to buy a Frosty Freezy Freeze from the Frosty Bus. 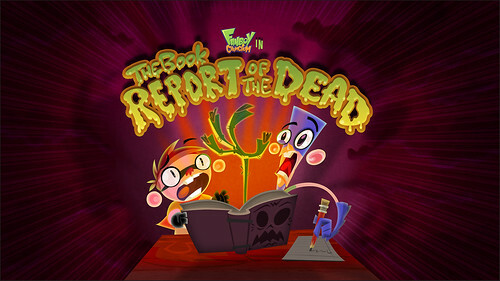 • When Fanboy and Chum Chum catch colds, they are desperate for a new playmate. 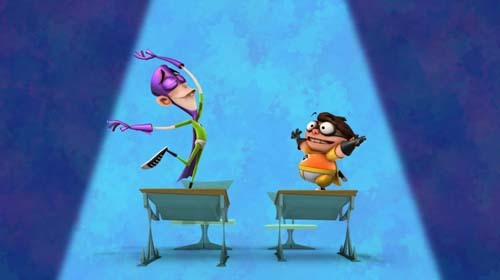 • Fanboy and Chum Chum trade noses on the day of their school pictures. • Fanboy and Chum Chum buy Boog’s childhood plastic bubble. Oh. The boys are sick through a lot of these. You may want to stock up on vitamin C before-hand. Episode #137. Artwork by Roman Laney. Episode #136. Artwork by Roman Laney.